Part-Time Non-Executive Chairman, Karnataka Bank Ltd.
Born on 14th November 1951, Shri Polali Jayarama Bhat is a Post Graduate in Chemistry (with First Rank) from University of Mysore. He is a Certified Associate of Indian Institute of Bankers (CAIIB). He has banking experience of over 4 decades. He joined Karnataka Bank as an Officer in the year 1973 and over the period of time got promoted to various positions. In the year 2005, he was promoted as Chief General Manager of the Bank. He was the Managing Director & CEO of the Bank for the period from 14th July 2009 to 12th April 2017. Presently he is the Part- time Non-Executive Chairman of the Bank with effect from 12th April 2017. 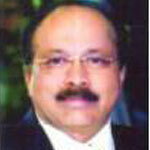 Shri P. Jayarama Bhat has rich experience in all the facets of banking operations. He is also on the Board of Universal Sompo General Insurance Company Ltd., a joint venture of the Bank. He was a member on Management Committee of the Indian Banks’ Association (IBA) from August 2010 to August 2014, during which period he was also the Chairman of ‘IBA Committee on Member Private Sector Banks’. During his tenure as Managing Director, the Bank had secured many awards in the field of IT, CSR, MSME instituted by IDRBT, IBA, CIMSME, ASSOCHAM etc. Shri P. Jayarama Bhat has been conferred with several awards including “Aryabhata International Award”, “Outstanding Manager Award” by Mangalore Management Association, “A. Shama Rao Memorial Outstanding Achievement Award”, T. A. Pai Memorial “Shrestha Banker” award by ‘Delhi Kannadiga’, “CEO with HR Orientation” by Asia Pacific HRM Congress, “New Year Award-2015” constituted jointly by Manipal University, Academy of General Education and Syndicate Bank, “Yedthare Manjayya Shetty” award constituted by Yedthare Manjayya Shetty Memorial & Charitable Trust, Kundapura and prestigious “Vandana Award” by Rotary Club of Mangaluru Central and Rotaract Club of Mangaluru City and “Suraj Seva Award-2017” by Suraj Educational & Charitable Trust®, Mudipu for his contribution in the field of banking. He was honoured with “Shri Krishnanugraha Prashasthi” by Shri Shri Vishweshwa Theertha Swamiji of Pejaavar Mutt, Udupi, during his fifth paryaya festival for his invaluable contribution to the field of Banking. He has been honoured with ‘Eminent Aloysian Alumni Awards’ by St. Aloysius Institutions Management and St. Aloysius College Alumni Association, Mangaluru. International Lions Seva Association has honoured him with ‘Lions Sadhaka Puraskar - 2018-19’. He has been figured in the list of Top 30 best CEOs of BFSI sector for the year 2016-2017 published by ‘Business Today’ magazine. Shri Mahabaleshwara M S took charge as Managing Director & Chief Executive Officer of Karnataka Bank on April 15, 2017. Prior to this, he was serving as Chief General Manager of the Bank. Mr. Mahabaleshwara M.S., MD & CEO of Karnataka Bank has over 34 years of banking experience both at operational and administrative levels. He has done his Masters in Agricultural Sciences (M.Sc. Agri), with specialization in Agronomy, from the University of Agricultural Sciences (UAS), Bengaluru and he is also a Certified Associate of the Indian Institute of Bankers (CAIIB) and has also done Post Graduate Diploma in Business Management (PGDBM) from St. Aloysius College, Mangaluru. He started his career as Researcher & Teacher at University of Agricultural Sciences, Bengaluru and later on joined Karnataka Bank as Agricultural Field Officer in 1984. Initially he served at Credit Department of the Bank at Head Office, Mangaluru. He played a key role in launching KRISHI CARD scheme of the Bank. Later on he headed Banakal, Chickmagalur ADB (Agricultural Development Branch) and Bengaluru Kasturba Road (Forex Designated) branches of the Bank and has been the member of the prestigious ‘Chairman’s Club” for 5 times, for his outstanding performance as Branch Head. On his promotion as Chief Manager and later on as Assistant General Manager he served at Credit Department and Planning & Development Department of the Bank at Head Office, Mangaluru. Later on he moved to New Delhi Regional Office as Regional Head, wherein he played a key role in expanding the foot prints of the Bank in the Northern part of India by opening good number of branches and subsequently got elevated to the cadre of Deputy General Manager. During his tenure as Regional Head, Delhi Region was adjudged as the ‘Best Region’ of the Bank, twice. Further, on account of rapid branch expansion in Northern India, Bank had also opened a new Regional Office at Kolkata. He also served as Regional Head of Mumbai Region before being elevated to the Post of General Manager in 2011. On the 28th of August 2013 he was promoted as Chief General Manager and was overall in charge of the Departments of Credit, Planning & Development, IT & MIS, Treasury & Accounts and HR & IR. He played a pivotal role in the Digital Banking & BPR (Business Process Reengineering) initiatives of the Bank. Further, the Bank is now implementing its most sought after transformation exercise ‘KBL-VIKAAS’ under his leadership with BCG (Boston Consulting Group) as Transformation Partner. The Bank has surpassed ‘Rupees One Lakh Seventeen Thousand Crore Business” milestone under his able leadership. He also served as the Non–Executive Director on the Board of Universal Sompo General Insurance Co. Ltd., as the nominee director of Karnataka Bank. He hails from Malnad Region, Mavinakudige - Thotadur of Chikkamagaluru District of Karnataka State and has done his early schooling at ‘Govt. Primary & Middle School’ Bashrikatte and Shree Sadguru High School, Bashrikatte, Chikkamagaluru District. Later on he moved to Bhandarkars College, Kundapura for his Pre - University course and to University of Agricultural Sciences, Bengaluru for under graduate and post graduate courses. He acquired abundant experience by attending various seminars / conferences and travel across the country and abroad. He is determined to transform Karnataka Bank into a strong and socially responsible and commercially viable financial institution. He is honoured with (i) “Shree Krishnanugraha Prashasti” by his Holiness Shri Shri Vishwesha Theertha Swamiji, Pejavar Mutt, Udupi and (ii) “Aryabhata International Award of 2017” by Aryabhata Cultural Organisation (Regd. ), Bengaluru, in recognition of his praiseworthy contribution to the field of banking. He has been conferred with the prestigious ‘CEO with HR Orientation Award’ at the 27th World HRD Congress summit presented by ‘ET Now’ in a function held on 15.02.2019 at Mumbai. Mr Ashok Haranahalli, aged 54 years, has been on the Board since 14.09.2012. He holds a degree of Bachelor of Law. He has rich experience in the field of Law and also agriculture. He is practicing before the High Court on all branches of law including central excise,customs, labour, local body matters economic offences etc. He had functioned as counsel for the Commission in the Justice Shivashankara Bhat Commission appointed to investigate the case for the crash of A320 at Bangalore Airport. He was the Professor of Law teaching Civil Procedure Code, Constitution of India at Mr Jagadguru Renukacharya College of Law for four years, counsel for Dental Council of India,Bangalore City Corporation, KSRTC, Bangalore University, Indian Railways, and other institutions. He was the Advocate General for State of Karnataka, represented the CBI and Central Government Departments/Ministry in High Court. He is the recipient of Kempegowda Award 2011, Aryabhatta Award and Law Day Award issued by NHRC, New Delhi. He is also a partner in M/s Haranahalli Law Partners LLP. Mrs Usha Ganesh, IAS, aged 65 years, has been the Director of the Bank since 31.7.2013. She is a post graduate in M.Sc (Botany), M.Sc (Econ. ), LLB, and has undergone Advanced Training in Administration and Management of Change from Administrative Staff College of India, Hyderabad and Management Development Centre, London. She has rich experience in the field of Law, Finance, Agriculture and Rural Economy, Cooperation & SSI. As an IAS (RR 1973) of Karnataka Cadre from July 1973 to July 2008, she has held various posts from Assistant Commissioner, Chickmagalur, Deputy Commissioner, Bangalore District, to Managing Director of KSCARD Bank (SLDB) and Additional Chief Secretary and Chairman of Krishna Bhagya Jala Nigam Ltd.
Mrs Usha Ganesh was on the Boards of Karnataka State Co-operative Agr. and Rural Development (KSCARD) Bank as Managing Director from June 95 to June 96 and Karnataka State Co-op. 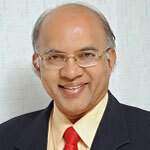 Apex Bank Ltd., as Director from June 95 to June 96. She had represented KSCARD Bank in all India and Zonal Conferences of NABARD, and also at International Co-operative Alliance Seminar at Sydney, Australia during October 1995. She has Functioned as Administrative Member, Karnataka Administrative Tribunal from August 2008 - July 2013 in the rank of a Judge of High Court for 5 years, Mrs Usha Ganesh has also functioned as a Quasi Judicial Authority and Appellate Authority in different posts for 9 years. 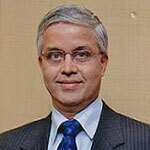 Mr. Rammohan Rao Belle,former MD and CEO of SBI General Insurance Co Ltd., a joint venture between the State Bank of India (SBI) and Insurance Australia Group (IAG), joined the Board of our Bank on 21.10.2013. He started his banking career in 1974 in SBI. During a span of 38 years with SBI, he held several important banking and IT assignments in India and UK. He has hands on experience in retail, corporate and international banking, banking operations, credit, risk management and IT. He was also involved in setting up of CIBIL, the first Credit Information Bureau in India, which was a joint venture of SBI, HDFC, Dun & Bradstreet and TransUnion. He is a mentor of an IT start up company named Catyeus Inc, Calgary, Canada. Mr Rammohan Rao Belle holds a Master's degree in Physics from IIT, Madras and PGDM from IIM, Bangalore. He is also a Certified Associate of Indian Institute ofBankers. Mr. B A Prabhakar, aged 64 years, is a Commerce Graduate from the University of Mysore and a Chartered Accountant. He retired as Chairman and Managing Director of Andhra Bank in August 2013 after serving various banks for about 37 years. Prior to that he had served as the Executive Director of Bank of India for a period of little over 3 years from October 2008 to December 2011. 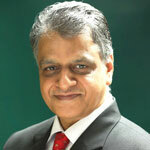 Before that, he had served Bank of Baroda from October 1977 to October 2008 having worked in all areas of banking. He also worked abroad for about eight years in stints at Zambia and U.K. 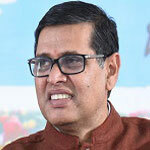 He was the Chief Executive of Bank of Baroda, UK operations. Mr. B A Prabhakar had served on various Boards representing the Banks he had worked. He was the Chairman of Bank of India (Tanzania) and Bank of India (Indonesia). He was also on the Board of Star Union Daichi Insurance Ltd, India International Bank (Malaysia). Mr. B A Prabhakar is Director on the Board of the Bank since September 06, 2014. 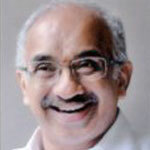 Presently, he is also serving on the Board of ASREC (India) Ltd., L&T Finance Ltd., L&T Housing Finance Ltd., Canara HSBC Oriental Bank of Commerce Life Insurance Company Ltd. and National Securities Depository Ltd.
Mr. U.R.Bhat aged 66 years, is one of India's well-known investment advisors and has been managing institutional money for more than two decades. 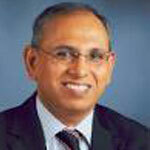 He is presently Director of Dalton Capital Advisors (India) Pvt. Ltd., an investment advisory company of the Dalton group, London. Prior to this, he was Chief Investment Officer of Jardine Fleming in India–that subsequently became a part of JP Morgan-advising the India dedicated funds of the Flemings group. In the early nineties, he established a successful start-up asset management business for a leading public sector Bank in India. Mr. U.R. Bhat holds an M.Sc. from Indian Institute of Technology, Kanpur and has attended advanced courses on Finance at the Harvard Business School, Boston and Indian Institute of Management, Ahmedabad. He is a Fellow of the Chartered Institute of Bankers, London. 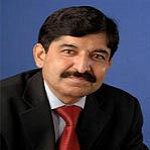 He is a respected commentator in the electronic and print media and has been writing well- regarded columns in the financial press for the last more than two decades. He has been closely involved in formulating policies for benchmark indices for the Stock Exchange, Mumbai as a long standing member of its Index Committee. He has also been a member of the Corporate Governance Committee of the Indian Merchants Chamber. He is frequently invited to speak at seminars and workshops conducted by the apex Industry Chambers and Management Institutes. Presently he is also serving on the Boards of Repro India Ltd., Edelweiss Asset Management Ltd., Subhkam Capital Ventures Pvt. Ltd., Axis Asset Management Company Ltd., BlueStreet Capital Management Pvt Ltd., Orbis Financial Corporation Ltd., Finaureus Technologies Pvt. Ltd. and Speciality Restaurants Ltd.
Mr. U R Bhat is Director on the Board of the Bank since February 19, 2016. Mr. Keshav Krishnarao Desai, aged 55 years, holds BE (Mech.) graduation. He has been into the automobile business for the past 32 years. Presently he is the Managing Partner of Desai Group of concerns established in the year 1939 having its head office at Hubli and other offices at all the major places of North Karnataka region namely-Gadag, Haveri, Ranebennur, Koppal, Sindhanur, Raichur, Kustagi, Vijayapur and Bagalkot. The Group has dealerships for the products of TAFE Limited and FORCE MOTORS Limited. He is also into real estate business of constructing residential/commercial complexes for the last 25 years. He is the Managing Trustee of Shri Bindurao Desai Trust which owns Geeta Mandir, in Hubli. He is the trustee of Lokshikshana Trust, publisher of the daily Kannada Newspaper Samyukta Karnataka, Karmaveera and Kasturi. Mr. Keshav Krishnarao Desai is Director on the Board of the Bank Since February 19, 2016. Mr. D Surendra Kumar, aged 65 years holds BA degree from University of Bangalore. He has nearly 25 years of experience in Small Scale Industry as Managing Director. He is also involved in making policy decisions and monitoring the implementation of rural development projects through Shree Kshetra Dharmasthala Rural Development Project (SKDRDP). He is an agriculturist and has adopted modern practices in cultivation. He is the Vice President of Shri Dharmasthala Manjunatheshwara Educational Society (R), Ujire, Trustee-SKDRDP, SDMD-Trust, Managing Partner of Kuduma Industries, SDM Pharmacy and Padmalatha Transport. Mr. D Surendra Kumar is Director on the Board of the Bank since December 29, 2016. Mrs. Mythily Ramesh, hailing from Bengaluru and aged 52 years, has more than 28 years of experience in her career. She completed her BE Computer Science from College of Engineering, Guindy and MBA from IIM Ahmedabad. She is also a certified CPM and CPIM specialist. In her 20 year successful stint in Wipro she grew from a Customer support executive to a Senior Vice President. Her career spans product management, marketing, Business Head and Quality. As a certified Black Belt, she drove the Six Sigma initiative in Wipro and was successful in moving the organization from 1.7 Sigma to 4.7 Sigma and reducing the order to collection cycle from 365 days+ to 120 days. With a passion for entrepreneurship, she was the CEO of a start up in Wipro called 01markets and built a successful business around e-procurement. She then moved to the Corporate office to handle Mergers & Acquisitions, Business Development and Innovation. As part of Innovation, she seeded multiple new service areas which have grown into large businesses for Wipro. In her last stint in Wipro in BPO, she was responsible for pre-sales and solutioning, product management, transition, platform BPO, BPO Consulting and procurement, BPO operations etc. In 2006 and 2007 she was adjudged one of the 25 most Powerful women in India by India Today and Dataquest. She has been profiled many times in Business Today and Business World as a successful woman IT professional. In 2010, she and a few ex-Wipro colleagues started a social entrepreneurship firm NextWealth focusing on IT/BPO services from small towns in a unique distributed delivery model. Their mission is to create 10,000 jobs in the small towns. She is currently the Co-Founder and CEO of NextWealth. She serves on the board of WeP Solutions Ltd., WeP Digital as an Independent Director and is a member of the Steering Committee of “IIMPACT” an NGO which focuses on education of the Girl Child. 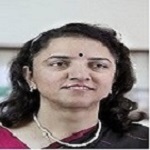 Mrs. Mythily Ramesh, is Director on the Board of the Bank since March 14, 2018.